Largely due to a combination of vehicle speed, truck size, and truck driver fatigue, almost 4,000 people died in large truck crashes in 2015. That figure has increased rather steadily since 2009, and nearly all of these victims (97 percent to be exact) are passenger vehicle occupants. At 60mph, fully-loaded large trucks require almost 500 feet to stop, which is greater than the length of a football field. Adverse conditions, such as wet roads, and load factors can drive this number even higher. 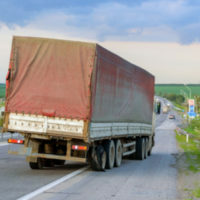 Furthermore, although federal and state laws strictly limit the amount of time that truck drivers can spend behind the wheel without resting, there is evidence that at least some drivers almost routinely flaunt these requirements. Finally, large trucks also sit very high, so they might literally run over a small-ish passenger car in a collision. Head Injuries: Many of these injuries, such as whiplash, are motion-related and not impact-related. The sudden, violent motion often slams the brain into the skull, causing permanent injury. Internal Injuries: The forces which cause the brain to collide with the skull also cause internal organs to rub against each other, causing serious bleeding that sometimes goes undetected for quite some time. Serious Burns: Large trucks usually carry about 150 gallons of diesel fuel, a chemical compound which burns at a different temperature from gasoline. As a result, many victims have either third-degree burns that char the skin or fourth-degree burns which actually burn bone. As a result of these and other injuries, accident-related hospital expenses often exceed $100,000. Other necessary medical expenses, such as physical rehabilitation, force the cost even higher. Most people do not have the resources to cover such expenses, and most health insurance companies deny injury-related claims for liability reasons. In these cases, personal injury attorneys send letters of protection to medical providers, so victims need not pay any upfront money. In addition, when the case is resolved, an attorney can usually reduce medical bills through negotiation, so victims keep a greater percentage of their settlement money. Any one of these figures may be instrumental to establish negligence. Furthermore, beginning in 2018, almost all large trucks will have electronic logging devices, which could be vital to prove negligence in a drowsy truck driver case. Victims must establish negligence by a preponderance of the evidence, or more likely than not, in order to obtain compensation that usually includes money for both tangible losses, such as medical bills, and intangible losses, such as pain and suffering. Negligent truck drivers cause many serious accidents. For a free consultation with an experienced personal injury attorney in Port St. Lucie, contact Eighmie Law Firm, P.A. We routinely handle matters all along the Treasure Coast area.